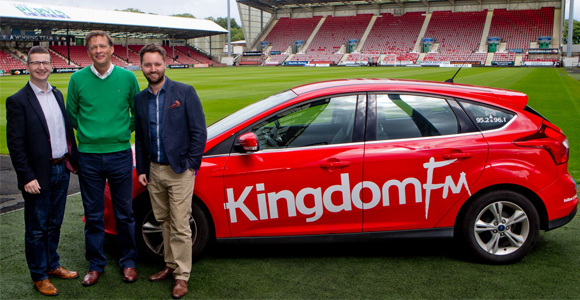 Dunfermline Athletic Football Club and Kingdom FM are delighted to announce a further partnership agreement for this coming season. The partnership allows DAFC to have valuable air time with Kingdom FM, and share exclusive signing news and player interviews, as well as offering incredible ticket giveaways and offers both on air and on the Kingdom FM Facebook page. This season, DAFC will also be a partner of the Kingdom FM Listener Loyalty Card, which is free to all of Kingdom FM’s listeners, and will allow the card holder to take advantage of a 10% saving off all purchases at the Club Shop. Kingdom FM has loyally supported our club for a number of years and jointly hosted our recent “Legends of Rock” concert, and compered the recent Open Day/Kit Launch at the Glen Pavilion.